Unusual destination, but a classic application, for one of the flagships of our production. 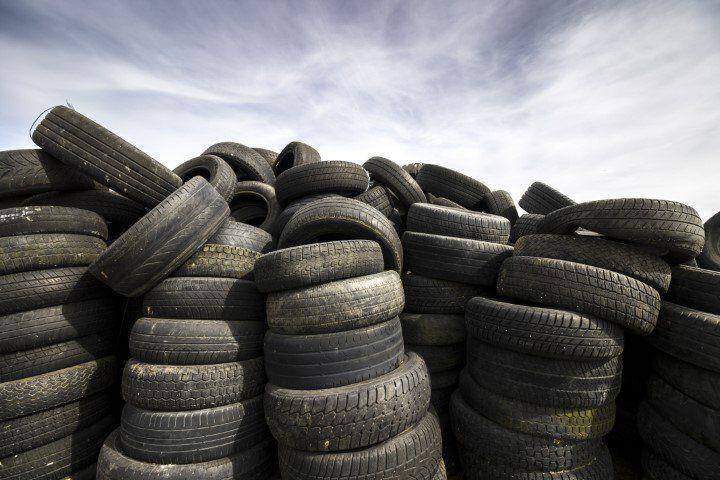 At the end of their life more than four billion tyres are disposed of in landfills, worldwide. The controlled disposal of end-of-life tyres has reached excellent levels in Europe, Japan and the United States (an estimated 85% recycling rate) thanks to the contribution of industrial shredder technology. This is an unconventional location for the 2-shaft ELT tyre industrial shredder shown here. On our planet we can find real paradises where nature seems to be particularly benevolent towards human beings. This is the case of the islands of the French Antilles, a territory belonging to the European Union, but located in the Caribbean. Four islands are part of the French Antilles: Guadeloupe, Martinique, Saint Martin and Saint Barthélemy. The most beautiful places have greater waste disposal problems. Island locations have a whole host of logistical problems which need to be considered in the management of the infrastructure and services. The waste management cycle presents further challenges as space is limited and the entire storage and disposal process must be carefully planned so it does not create aesthetic inconvenience and risks to the environment. Machine body consisting of a medium-power ELT tyre industrial shredder, K 10/50 of 37 kW (50 HP). Supply of blades with a 50 mm thick hook. 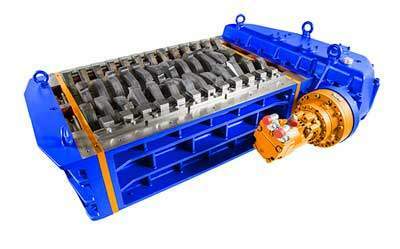 hydraulic motorisation in the complete machine configuration. Shredding chamber, frame, hopper and electric panel. Being a tyre treatment, the hopper is equipped with a water sprinkler system to facilitate the shredding process. The frame is high enough to allow direct unloading into a big bag to simplify the collection and transport operations. The customer’s needs were met and a wide pre and after-sales technical documentation was provided in English and French. The product start-up was directly carried out by the SatrindTech technical service specialists. Proud to support our customers anywhere in the world, this customised ELT shredding installation demonstrates our ability to reach remote locations. SatrindTech shredders have no boundaries. Stacks of end-of-life tyres are one of the symbols of environmental pollution. Thanks to greater awareness and more careful regulation, the reintegration of this type of material into disposal processes from a circular economy perspective is possible. There are no more excuses to accumulate tyres. Shredding is one of the easiest ways to overcome the disposal problems that this type of material entails. Due to their high caloric potential, end-of-life tyres can be used as an alternative to traditional fossil fuels. Recycling the rubber that makes up each type of tyre begins with shredding. Volumetric reduction by shredding is the first step for recycling tyres. SatrindTech shredders are among the most requested to handle this type of material with shredding solutions designed for every need, already tested in the field worldwide. What is the size of the shredder? Height? Width? Length? Weight? Thank you for writing, we will reply as soon as possible. We thank you in advance for the wait. I’m looking for this equipement. What would be the price EXW and CIF Degrad Des Cannes french Guyana ? I’m interested by an unit xapacity around 0,5 @ 1 ton by hour ? Thanks for sharing useful information with us. It really is helpful to me. I always like to read quality material. Thanks for sharing with us.